Protek Electric is pleased to offer a personal approach to your property management. I am offering my personal repair service and full knowledge of your household systems for your property management needs. Most property management companies have to call in a specific repairman to your home site to fix something that has failed. I AM THE REPAIRMAN ! Protek Electric can do the repair for you! Please call me for further details about what I can offer. NO need to call a repairman, I'm already there! Making sure you're ready to go when you get there! Many homes have several electrical/mechanical systems that need diagnostics and repair. I can do it on the spot when I'm checking your home for you. Always making sure everything is functioning for you when you arrive. 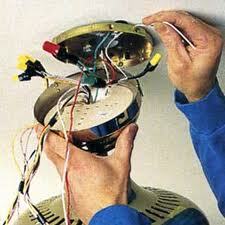 Repair or replace a ceiling fan not working. on-demand water heaters like Seisco. Troubleshoot the automatic gate or the garage door opener on the spot! 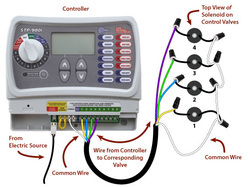 Troubleshoot and repair the irrigation system controller or zones. Troubleshoot the pellet stove on the spot if it's not working.